The Harness Lead is a combination slip lead and harness that is incredibly versatile. It fits any body shape, regardless of the number of legs your dog has. It can be put on without touching your dog's feet, and the neck can open very wide. 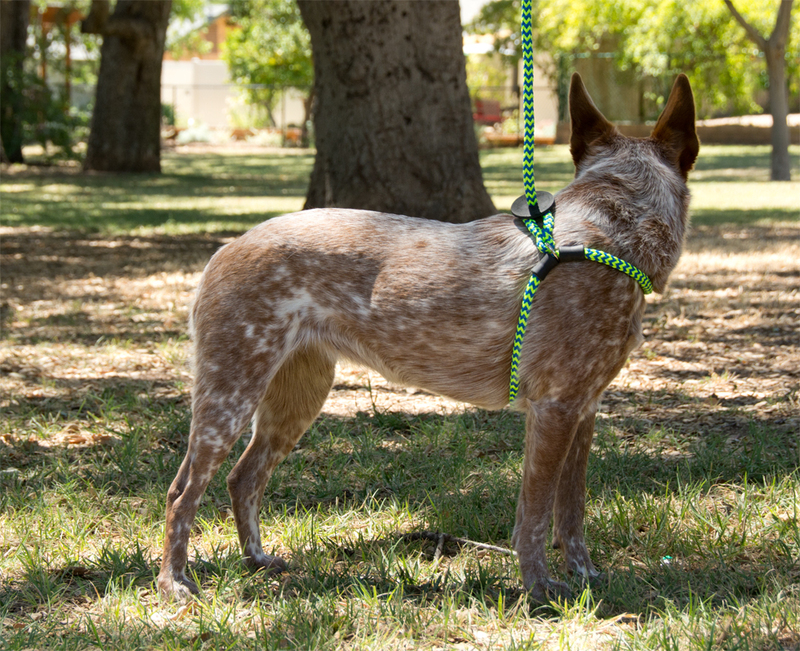 This combo leash tightens around the chest when your dog pulls, but does not choke. 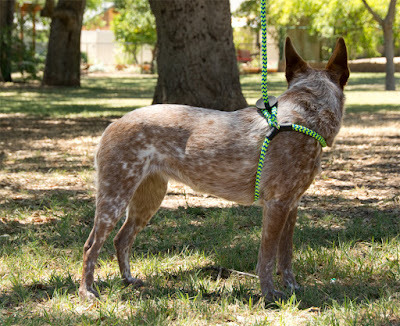 The Harness Lead comes in a variety of colors and two different sizes for dogs 14 pounds on up. The first time I saw this product, it was advertised as "Escape-Proof!" I laughed evilly and bought one to test with Annie the Escapologist. (Paid full retail, not being compensated for this review.) Communication between product reviewers and the company basically boiled down to "the product should be escape-proof if you use it right but we're not actually guaranteeing anything". I'm pleased to see that the Harness Lead is now described as "Escape-Resistant! ", because they don't know Annie, and Annie laughs at escape-proof products. The Harness Lead Company seems pretty cool. They give a lot of their proceeds to charities and rescues, and they have designed a product specifically to be used with kindness. This is not a tool to be used for giving leash corrections. 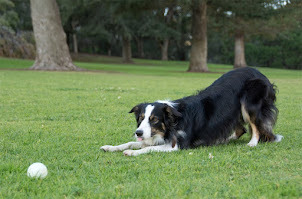 No jerking, no popping, let the dog self-correct by pulling and tightening the leash themselves. I really like the big disclaimer all over the website advising dog owners that if their dog keeps pulling, this product isn't really working for them. So the basic idea is that this is a slip lead with a couple of extra features that allow it to be turned into a harness. There are a couple of rubber stops that limit how big or small the neck loop can get. Immediately adjacent to the sliding ring is a loop in the fabric, and a rubber disc. Drop the neck loop around the dog's neck, then wrap the rest of the leash around their chest and pull it through the fabric loop to form a harness. The disc keeps the harness from getting too loose, and the stoppers make sure it only tightens around the chest. It's a little bit like this no-pull device, or that trick where you wrap the leash around the dog's chest, but way better. Does it work? Yes, about as well as any device like this works. The stopper configuration makes sure the chest loop stays up around the ribcage, so there's no worry about the dog pulling sharply and squeezing their abdominal organs. It definitely made an immediate difference in Annie's pulling, both how much effort she put into it and how it felt on my end. 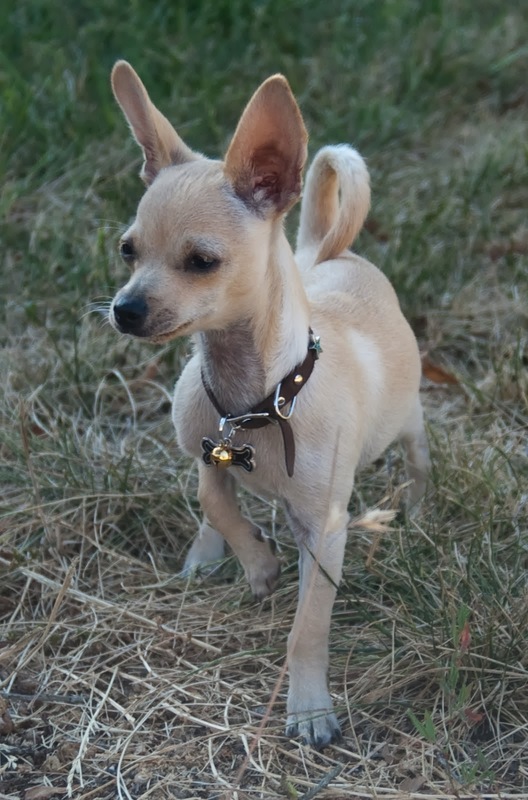 She spent quite a bit of time rolling around in the grass and the Harness Lead did not loosen up. Is it escape-proof? No, but the design makes it difficult for many dogs to back out of. 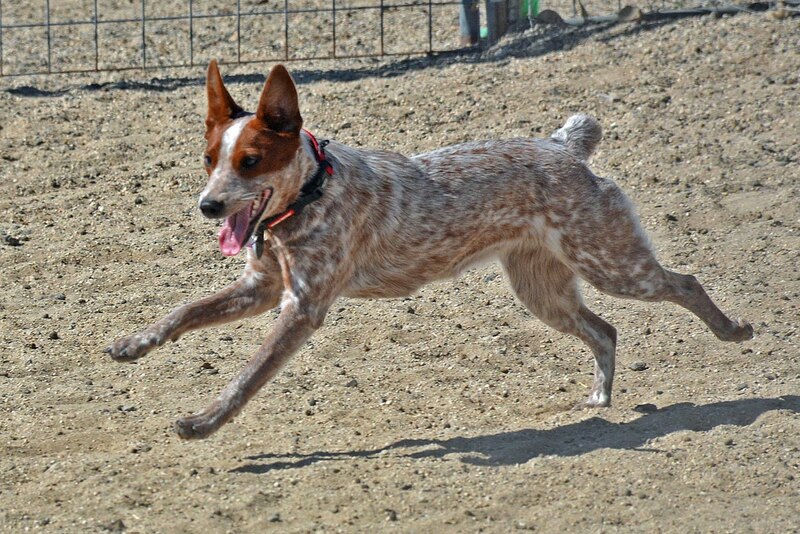 If your dog is shaped like a torpedo and is already an expert escape-artist capable of popping out of tools like the Freedom Harness, they won't have any trouble weaseling out of the Harness Lead either. Pros: Excellent design, reduces pulling and transfers force away from the dog's neck. Soft rope design has no rough edges and seems to be gentle on skin and coat. Fits any dog, including tripods! Can be put on without touching feet or legs. Sits well clear of the shoulder and allows freedom of movement. Company seems to have good customer service, and will happily send a new rubber disc if yours meets misadventure. Cons: Soft rope is prone to snagging, these can be snipped off and a lighter run over them if they bother you, they're only cosmetic. 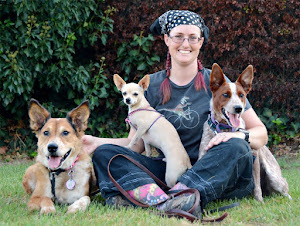 (The Harness Lead website has a video.) Like a slip lead, this cannot be left on the dog without a human on the other end. Flexible rubber disc seems to be really fun to chew, and may be prone to tearing. 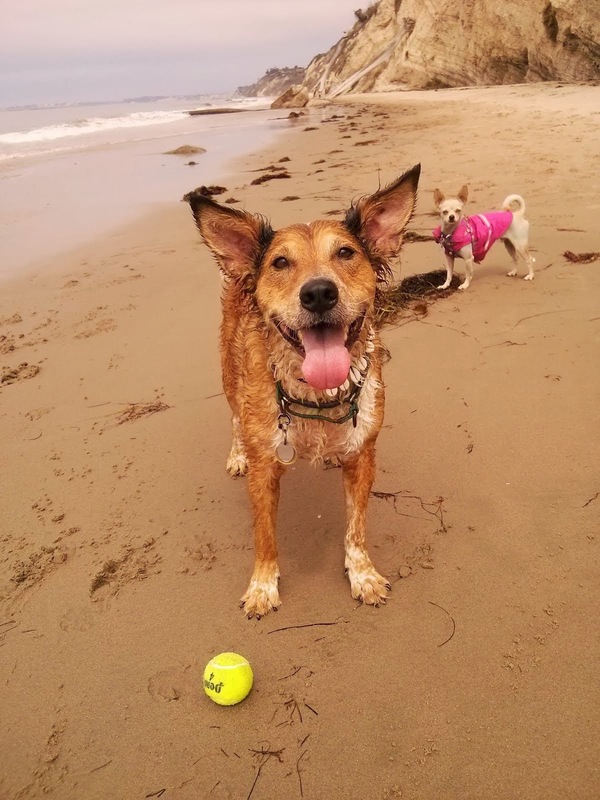 Bottom Line: It's really convenient and seems to actually work for a lot of dogs. I like the company, but they seem to be responding to every bit of criticism by posting a disclaimer on their website. There's a lot of things to be said about this product, so there's a lot of disclaimers. I personally feel that there is room for improvement in the product design, the rubber disc could probably be made from something a little more durable and some color-coding might make it a little more user-friendly for the general public. Still, it's a pretty nifty minimalist harness.